Any resident of Michigan knows better than to underestimate the importance of a trustworthy, effective heating system. When that first storm of the winter hits, you want to make sure you and your home are comfortable. There are many heating systems that will do the job, but one you might not be aware of is Radiant Floor Heating. With more traditional heating, the distribution works with forcing warm air through ducts and letting convection do the work of spreading it through a room. Or, a radiator will emit heat to keep the room warm. If you’re curious about the benefits and comforts of radiant floor heating, A+ Plumbing is the place to go. 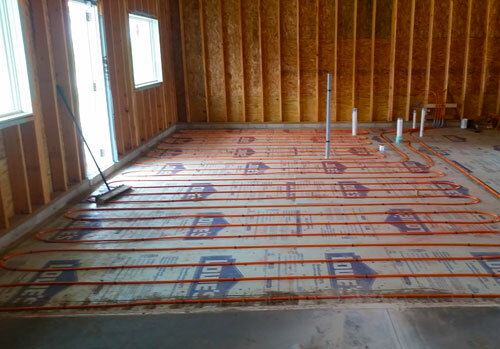 We can install radiant heating to make your space more warm and comfortable than ever! Contact us right away to find out more about this service!